Feeling connected with the Divine Presence, with Mother/Father God, is a strength that I experienced even at an early age. Being able to access that feeling and truthfully, lovingly communicate it for others is the essence of my Path, and thus, of my work. As a child, this “connectedness” felt very natural to me. It simply felt as though there was no other way of living, and I learned to play within the beauty of it. As I became a teenager, I began to see that this blessing was gifted me that I may offer it to others in service. My health was somewhat fragile as both a child and teenager, as I occasionally experienced serious asthma attacks, sometimes requiring hospitalization. During the most severe bout, I was blessed with a “near-death experience,” which amplified my natural ability to connect spiritually. While I was in the hospital that time, multiple complications arose and I had a cardiac arrest. While the doctors and medical personnel were devotedly working to revive me, I experienced what, fundamentally, many others have described as characteristic of near-death. I observed myself going through the repeated electric shocks as the doctors worked to bring me back. While part of me remained in the hospital room as an observant, another part of me flowed away, embracing the vast, inexpressible, glorious Love within which we are all cradled, a Love that was beyond human comprehension in its depth, radiance and breadth. 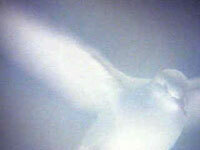 Its Light was luminous, white gold and led me even more deeply into the embrace of Spirit. As I communed with the Divine Presence, I felt as though I was talking with God, and I related my concerns about my life, my strength and my ability to do well what I was being called to do. I was reassured that I had the strength and abilities necessary to do so and that I would be given the resources, partners and supporters I needed at the correct times. I was reassured that it was okay to go back into my body and that the glorious Love that I felt during this Blessed Communion would remain easily accessible for me if I nurtured it, informing my work that I may share this Oneness with others even more deeply than I had previously envisioned. I was 16 and turned 17 during my 5 days in a comatose state subsequent to reentry into my body. During the coma, Spirit purified and strengthened me further. I have worked throughout my life to nurture, sustain, honor and embody this Gift as purely as I was able through my continued spiritual and personal transformation, as well as through study, meditation and journaling. I do not think of It as me, though it is, as well, the essence of who I am. I think of myself as a vehicle or channel for Its blessing. This is the Heart of my work.